Lemuel Pratt Grant, born in 1817 and "a city pioneer, railroad magnate and philanthropist," owned a home on 600 acres overlooking downtown Atlanta, now known as the L. P. Grant Mansion. Today, that once three-story home—currently being restored by and the headquarters of the Atlanta Preservation Center—sits as a one-story significant piece of Atlanta history in Historic Grant Park. When Grant died in 1893, he was recognized as one of Atlanta’s “best friends, one of her noblest citizens and one of her chief benefactors” by The Atlanta Journal. 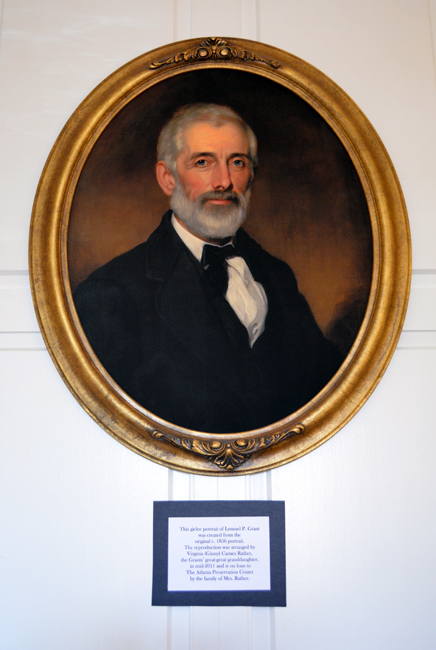 (Atlanta Preservation Center website) His contributions to Atlanta and all of her citizens is extensive. I encourage you to learn more about this fascinating man. 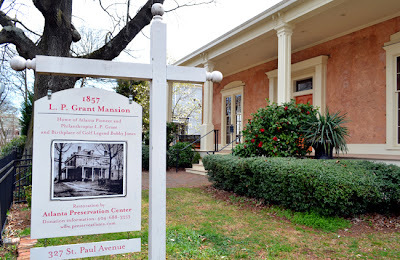 I found the Grant Mansion through a tour offered by the Atlanta Preservation Center's "Phoenix Flies" program, which just finished it 10th year. I did not know the house's historical significance or that it was the Center's headquarters until our rather brilliant tour guide, Paul Hammock, the Center's Director of Education, illuminated those facts. Although the house suffered fire and has lost its top two stories, the Center is something of a museum and very well tells the story of Grant with texts, letters, artifacts, and through its restoration efforts—as it has done with so many other historic sites in Atlanta. 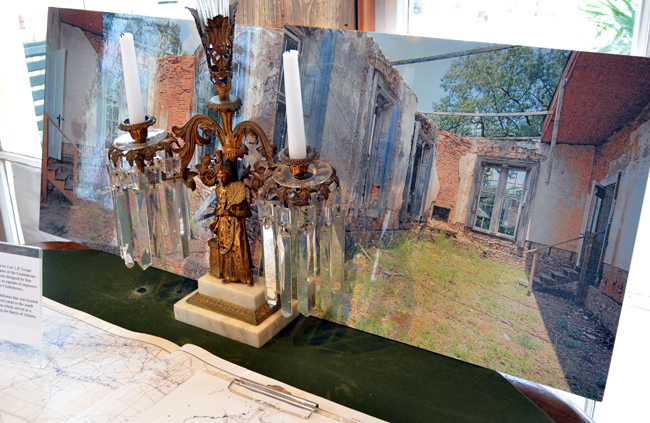 In addition to losing its top stories, one side of the mansion had been exposed to the elements for many, many years. Today, it's a display room showcasing artifacts and restoration efforts...I was beyond impressed even before seeing the 'before' photo above. Of all the details in the house, I think I personally was most fascinated with the window casings, which are also being restored throughout the house. 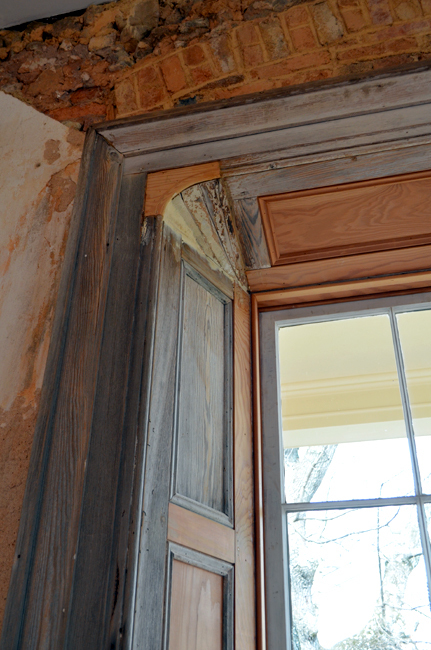 The walls of the house are two feet thick, which makes the window casings beyond substantial! I want windows designed like this, but I'm not sure I could find a contractor, let alone an architect, who would give me two feet thick, tumble stone walls. But you have to imagine those walls were great as an environmental control. 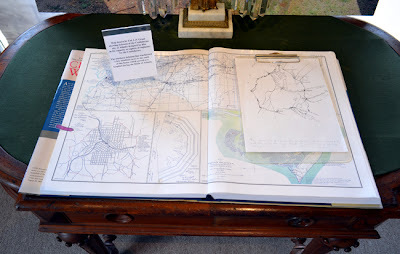 There are a number of maps in the house...this one particularly fascinating. 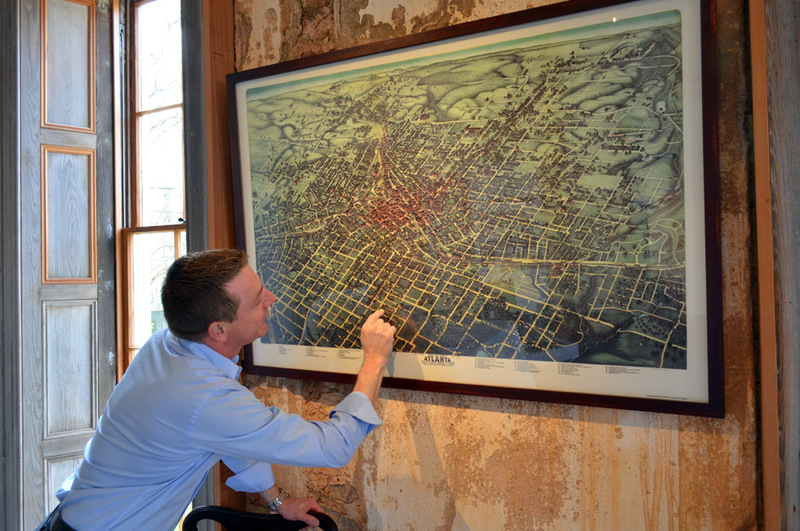 That's Barry pointing out a spot very near Turner Field, home of the Atlanta Braves. It'd be silly to point out how much the City has grown and changed since then, but "Wow!" 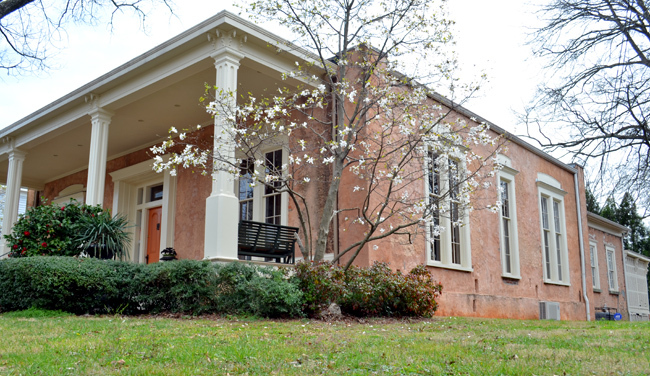 "The mission of The Atlanta Preservation Center is to promote the preservation of Atlanta's architecturally, historically and culturally significant buildings, neighborhoods and landscapes through education and advocacy." 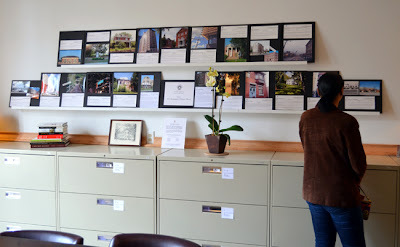 In the above photo, a fellow tourist is looking through far too many buildings and homes that are currently on the Center's "Endangered Places" list...have a look, you may be surprised. One of the things that I love about going on tours is all the information you get in a very brief amount of time that would otherwise take hours, days, and sometimes years to discover. For instance, I had no idea that Atlanta golfing legend Bobby Jones was born in this house...or that Gone With the Wind author Margaret Mitchell once had a significant interest in the home. Back to the restoration efforts of the Grant Mansion. Lots has been done including the back porch to which was added a wheelchair lift. 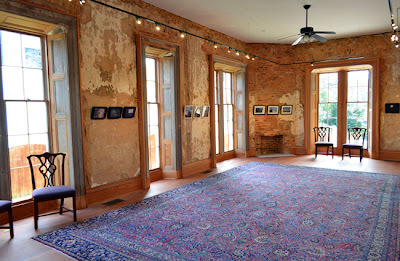 Many places on the house have not been 'repaired' just yet, instead leaving its history exposed. You can see the tumble stone wall construction at the left of this photo. 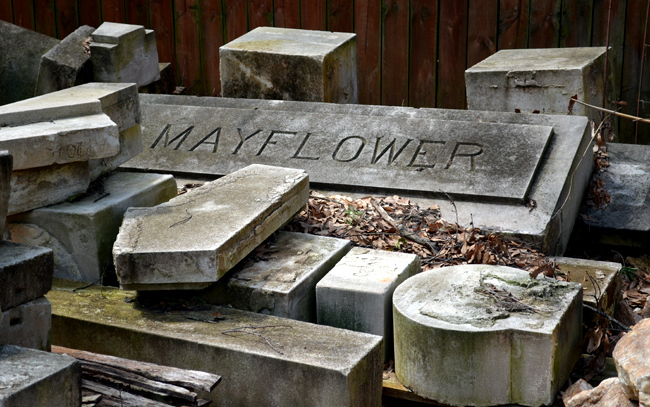 In a previous preview post, I mentioned an architecture graveyard. 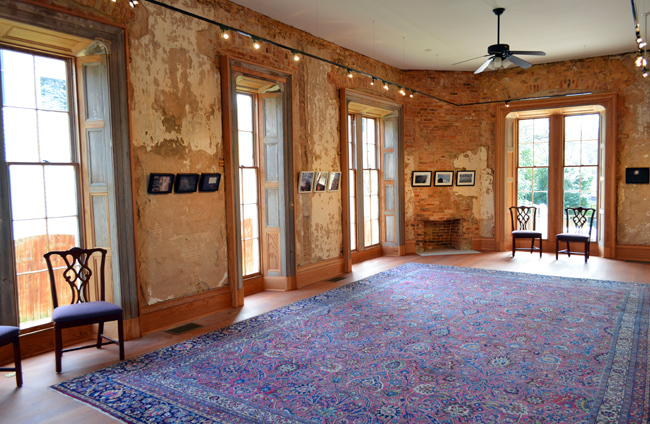 While the Atlanta Preservation Center's efforts have saved numerous homes and buildings, it can't save them all. But sometimes it acquires remnants, many of which it hopes to repurpose at some point in the future...hopefully soon. 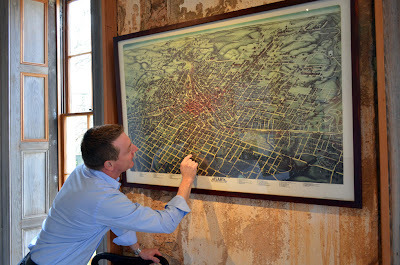 The Atlanta Preservation Center offers a whole suite of walking tours in various historic neighborhoods in Atlanta, some of which I've been on, and I highly recommend them. 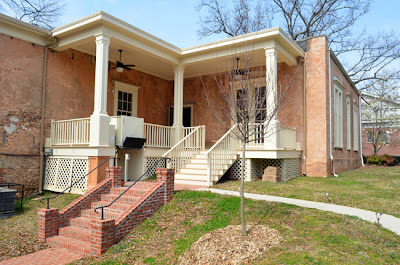 Check out the Center and please, let me know what you think about preserving Atlanta's significant history.